A few weekends ago I ended up in Malibu with a good friend, and on the way back from the beach we decided to stop by for some wine. 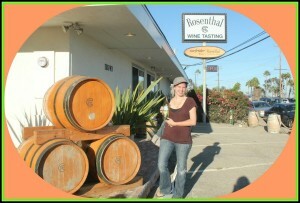 Along the way we ran across Rosenthal, Malibu Wines. It was not their actual estate, but their tasting room. Their estates are located further north. We pulled in and were surprised to see how easy parking was, and then walked in. 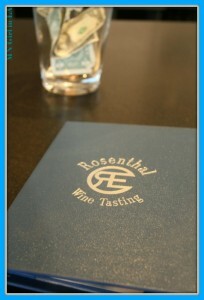 It was a very casual and comfortable environment, and we walked up to the tasting table. They started us out with their Surfrider Rose, in which that pale pink color came to life as you sipped on your glass. We quickly moved onto their 2 chardonney’s. The first was my favorite with their Surfrider Chardonney, a taste of vanilla was brought into the wine which I absolutely loved. 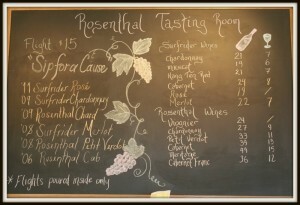 My friend’s favorite was the Rosenthal Chardonney, in which you could taste a bit of lemon and pear mixed together. We then moved onto the reds. When I started my wine journey I had no taste for reds. The past few months I have slowly begun to find reds that I enjoy, and that’s telling me my taste for wine is starting to improve, and I’m beginning to appreciate more of it. The first red we tried out was their Surfrider Merlot, and let me tell you, I can’t do Merlot’s quite yet. They’re far too much for me yet. There were two other reds given to us, their unique variety the “Petit Verdot” and then their Caberet. I really enjoyed their caberet and was happy to walk away with a red I enjoyed. But my favorite came after the tasting was over with the sweet, sweet muscat, and I even walked home with a bottle of my own. Rosenthal has a great backyard where you sit out back. You’re invited to bring food into the establishment and make a day hanging out with friends as you sip on your favorite bottle of wine or two or three. 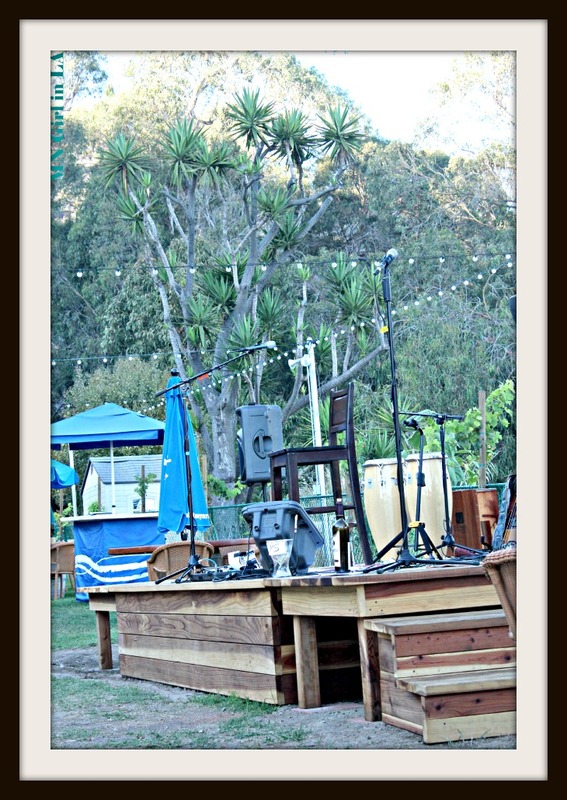 They even had a stage where performers were putting on a show. So, Rosenthal has become my new favorite place to stop by after a day of work to sit back and unwind. 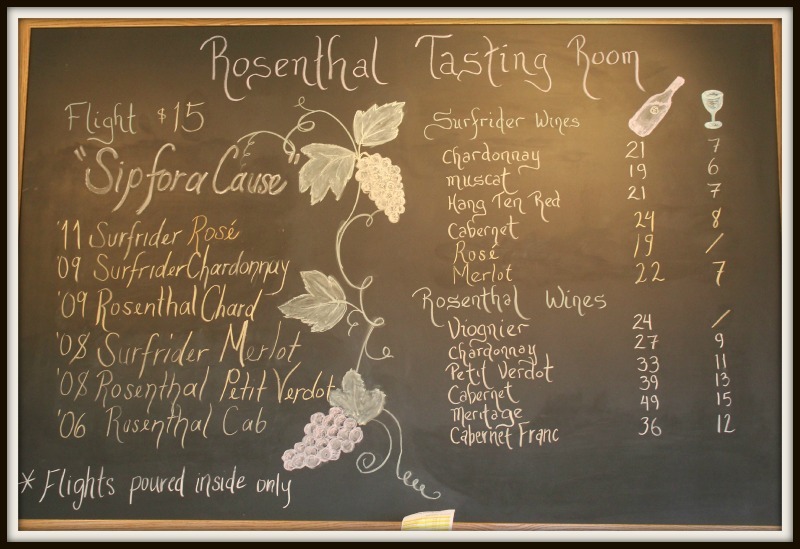 Have you been to Rosenthal’s before? What are your thoughts? Disclosure: I was in no way compensated for this post. I just enjoyed this visit and the environment of Rosenthal’s that I thought I’d share it with all of you. 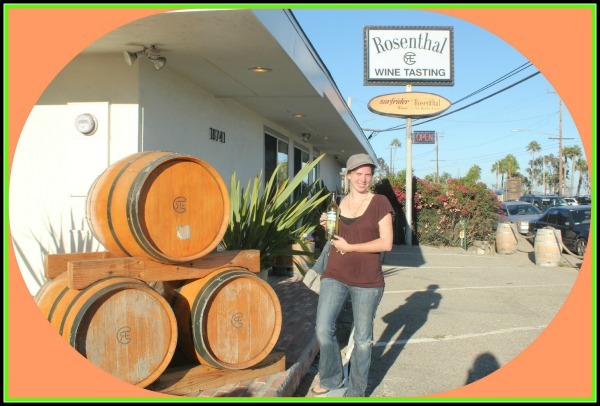 6 Responses to Rosenthal Malibu Wines! If I lived near a place like this I would totally be back there whenever I needed a night out to relax! This place sounds great, and I am totally with you when it comes to merlots. They are robust and way too much for me to handle, which is why most often I do white Rieslings. So sweet and delicious! What a cool spot! I know exactly where it is, but never stopped in— sounds like I missed out! Lol, Jamie I hope you never run out of wineries….you make wine tasting so much fun 🙂 When you run out you can come visit me…..we have over 50 wineries within short driving distance. Bibi @ Bibi’s Culinary Journey recently posted..September National Food & Drink Days & Happy National Napoleon Day!